These women's gardening gloves have a breathable design ideal for warm days spent out in the yard. They're made of textured spandex with a padded palm. Durable synthetic material on the palm and fingertips give you a solid grip on tools. 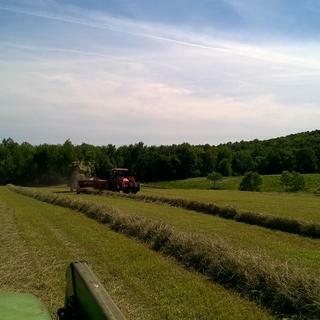 We're hay farmers in upstate New York. We make & handle thousands of square bales. It really burns up gloves. 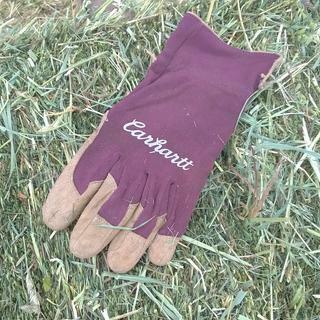 Last year I bought a pair of Perennial Gloves. I loved their comfort and durability; flexible and tough. This spring I searched local farm stores for a second pair - no luck. So I ordered four pair direct from the Carhartt website. I wanted to stock up in case they become discontinued. 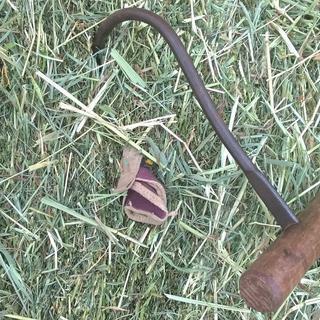 6/12 I lost one of my original pair while raking hay on a 12 acre field. It was nowhere in sight. 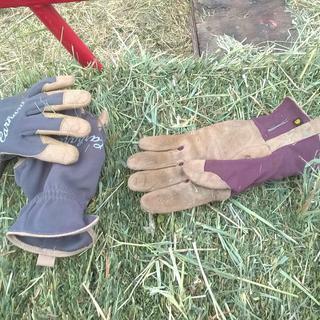 We finished baling, and I used an old pair of leather gloves to load hay into the mow. 6/14, my glove order arrived. I broke a pair in right away. Was I glad! But the best part - on the second wagon-load, I spied a tiny corner of my old glove protruding from a hay bale. I pulled it out, expecting only shreds. Miraculously, my glove was intact, pressed perfectly flat, and ready to return to work detail. Thank you Carhartt for making such a great product. I'll attach photos documenting this true tale. I love the fit, appearance, and quality of these gloves. I needed a pair for camping and these are perfect! Gotta LOVE Carhartt! 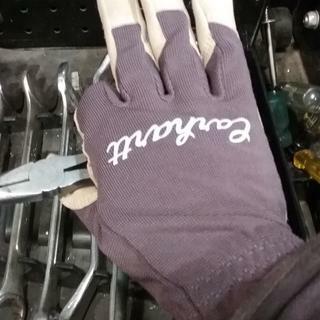 These are the best work gloves I have owned. They are sturdy, comfortable, & can take a beating. If I had one complaint it would be that they are not waterproof. Other than that they hold up perfectly for the job that I have. I really like these gloves. I bought a medium and they fit almost perfect. I have long fingers but wide hands. Comfortable and easy to work in. Are these gloves good for protecting your hands from trimming rose and blackberry bushes? BEST ANSWER: I have only used them cutting trees, hauling limbs and splitting and stacking wood. They work great for that and I have had no splinters or punctures. I am very happy with them. I’d assume so... 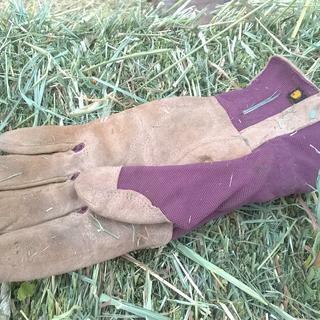 I used these gloves for general barn work such as cleaning stalls, moving hay and grain. They worked perfectly and got the job done! I would be concerned that the back side of the glove would catch thorns. So, no. I think an all leather glove would work better. How do I exchange a gift I received? BEST ANSWER: Please contact our Customer Service Department at 1-800-833-3118 for further assistance. Will a small fit an xs hand? I am a tiny 5' 1" person. I'm a size 6 and 5'5' lady. I wear a small glove at box stores but these are definitely women sized and I should have gotten a medium. The women's gloves are thinner (palm across) so it fits well enough but between my fingers is a little short. I have what I would normally consider a small sized hand, not xs and the small is a bit big. BEST ANSWER: They are not considered to be a warm glove, but they will provide a bit of protection from the elements.